Comfortable and customizable, the Connelly Reflex Handle and Line Package includes a 60' length of Poly-E that is designed to minimize stretch for more consistent pulls. Three built-in 5' sections allow you to tune the length all the way down to 50', and the floating design helps it stay above the water during deep water starts. At the far end of the line, there's a floating handle with a textured EVA grip so you'll always be able to find a comfortable hold. "Would this be good for wakeboarding?" 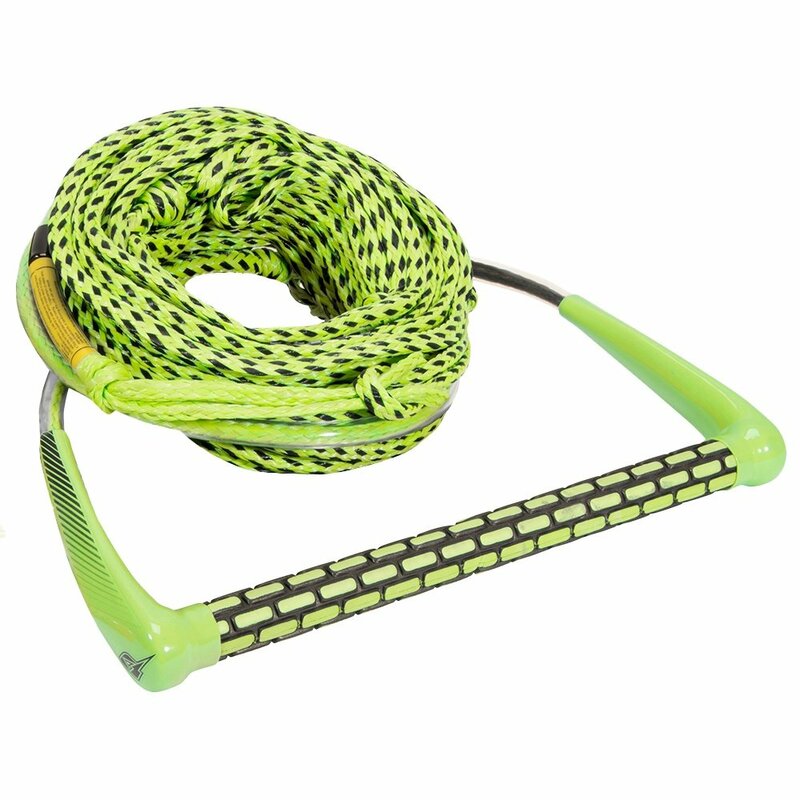 "The Connelly 65' Reflex Rope Package would be ideal for a beginner wakeboarder. Rope lengths for beginners are usually about 65 feet, for intermediate riders typically 65-75 feet, and for advanced riders generally a rope 75-85 feet in length. Pehaps the O'Brien Prop Wakeboard Handle with Flat Spectra Line would be a better choice. The adjustable Spectra line can be run at 55', 60', 65' or 70' lengths. Hope this information helps!"